BoomBox | New Tour Dates for BoomBox! 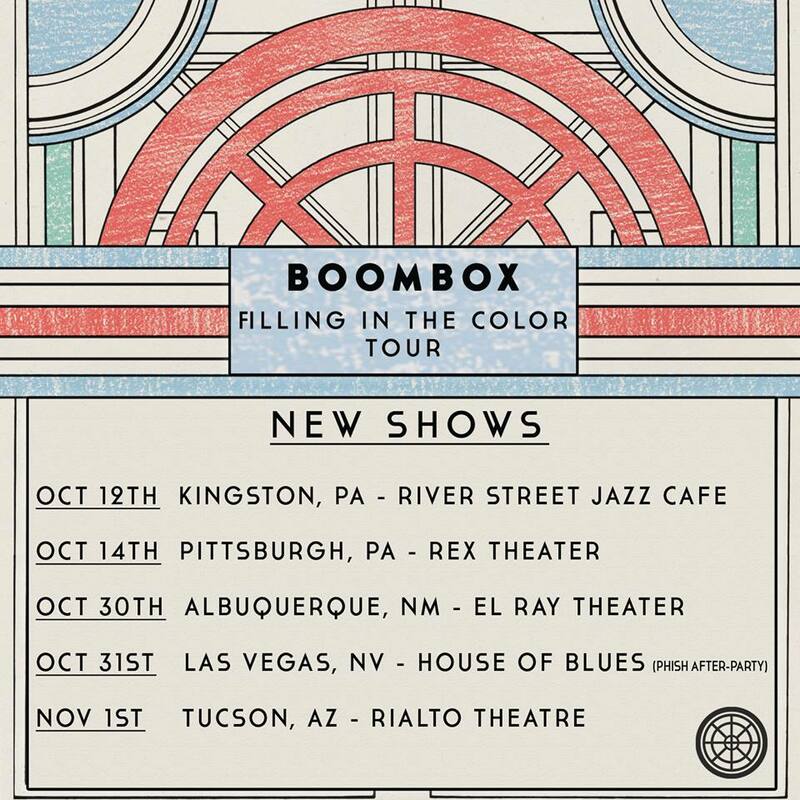 We’re very excited to announce the second round of show additions to our “Filling In The Color Tour” starting this October! We will be making stops in Pittsburgh and Kingston PA before heading west for some Halloween shows including a Phish AFTER-PARTY on Halloween at the House of Blues Las Vegas …Stay tuned for more show announcements and keep it funky people!